This is a post I have really been keen to make for a while. 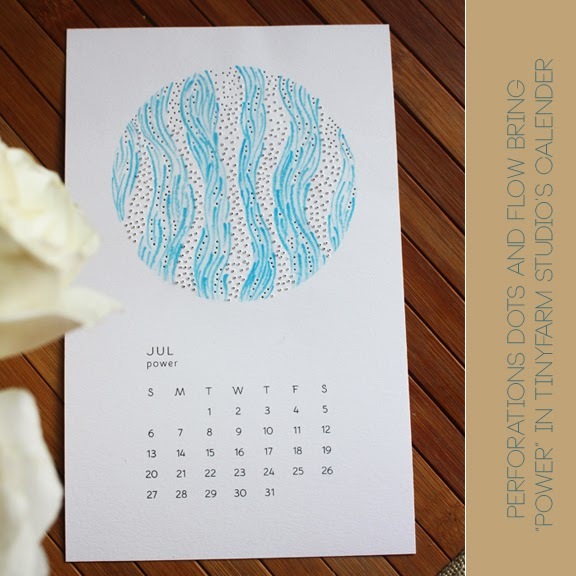 "Voices"is a little table calender make by Riddhi Desai of Tinyfarm. 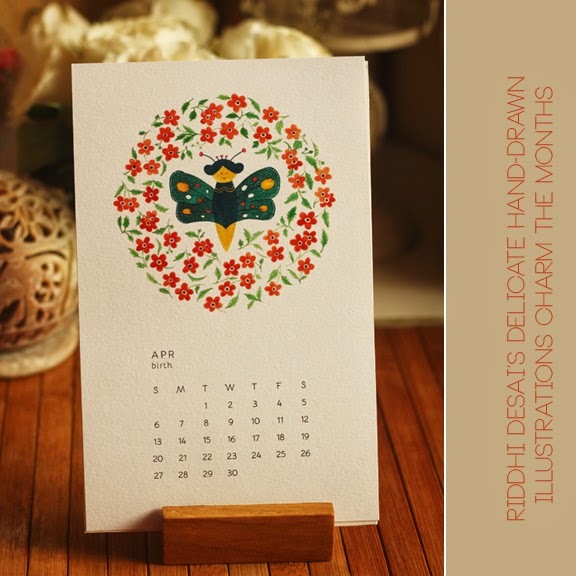 Those of you who have been following this blog for years, might remember Riddhi from the beautiful books she made a few years ago, I had blogged about it here. She also shared the stall with me in my 1st ever exhibition. 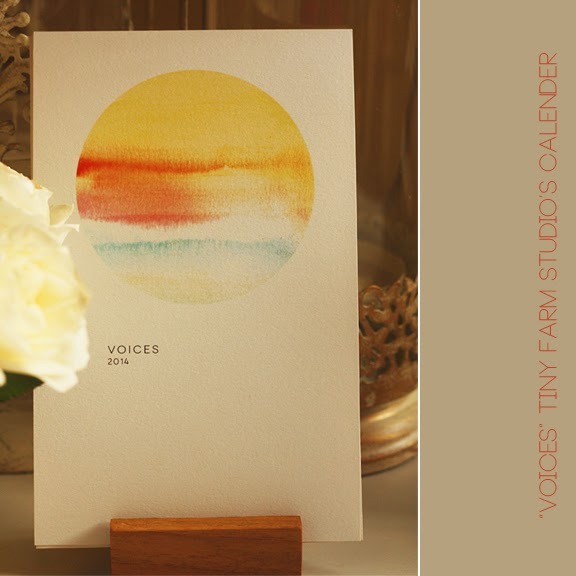 Her calender "Voices" is a soft yet powerful coming together of music and her illustrations. 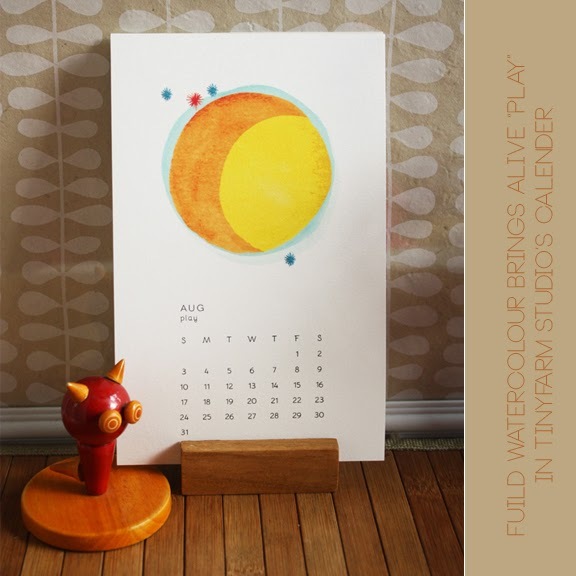 And while I was shooting the different illustrations on each month, in different corners of my home, I realised that her calender has the rare capacity, like true art to transform the space that it is in. I could feel peace where ever I kept her calender. I caught myself thinking - what would have been her process, what would have been going on in her mind to conceptualise the illustration the way she did, the clue to that is in the back of the calender, where there is a song to each month and word that is a gift to that month and to you. 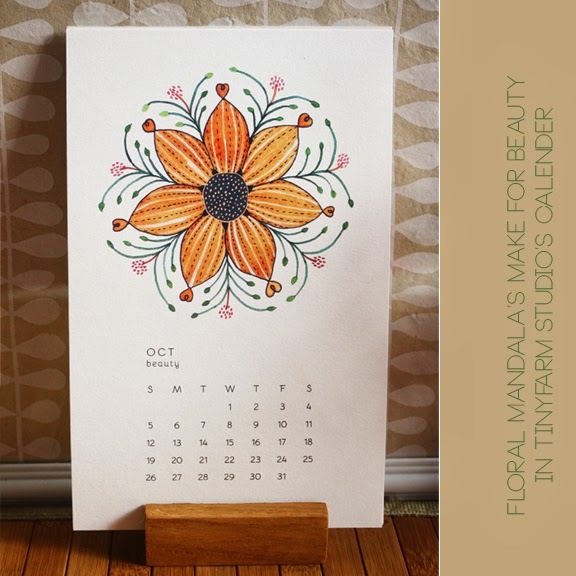 Riddhi's calender can be bought at a price but what it will bring to your home and your life is a gift of grace. It is her art and her heart. 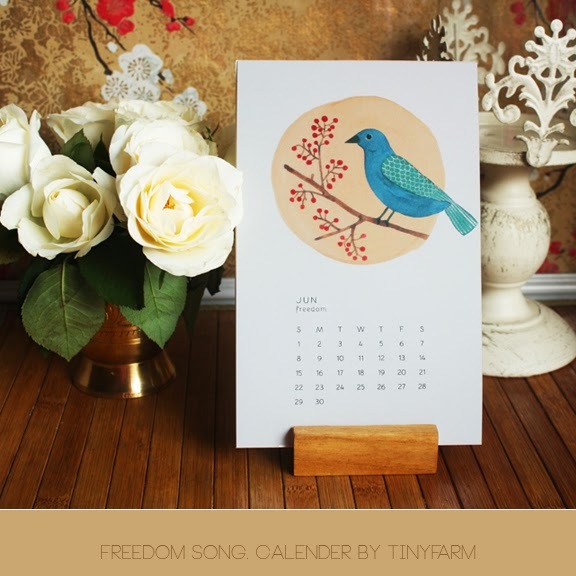 I find myself falling in love with each of her illustrations each month, and coupled with the song, it is just such a happy peaceful combination. 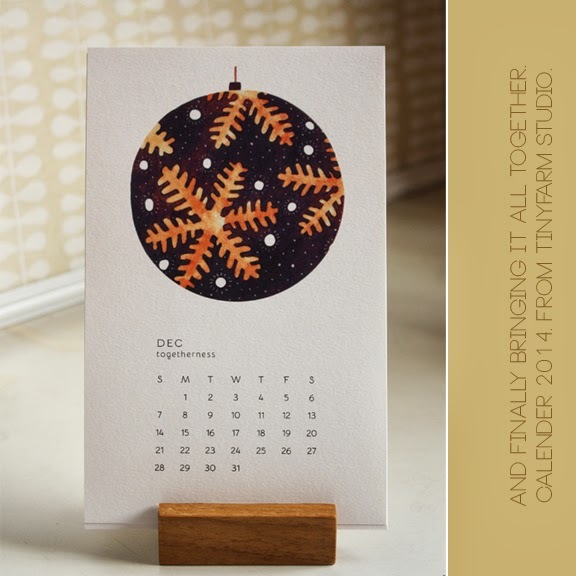 "At the end of each month or year, you can cut out the art & use it as a gift tag or frame it as prints." Riddhi Desai. Or you could make groupings of your favourite illustrations and frame them together in one frame. So exciting. I would love these little round illustrations on my walls. Now here's the FANTASTIC NEWS. 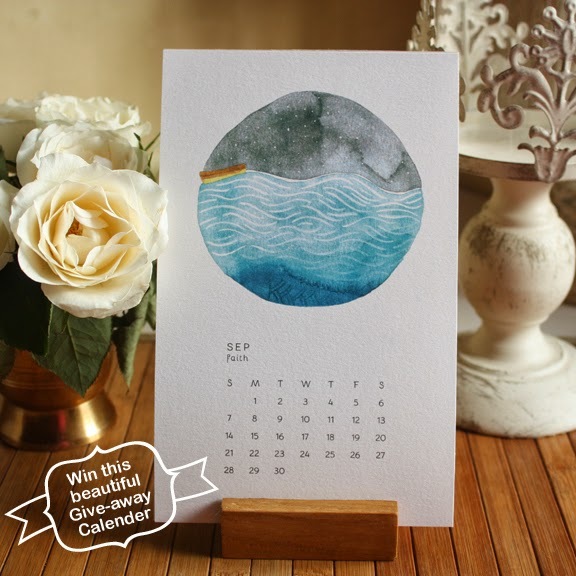 You can be the lucky winner of this beauty of a calender. 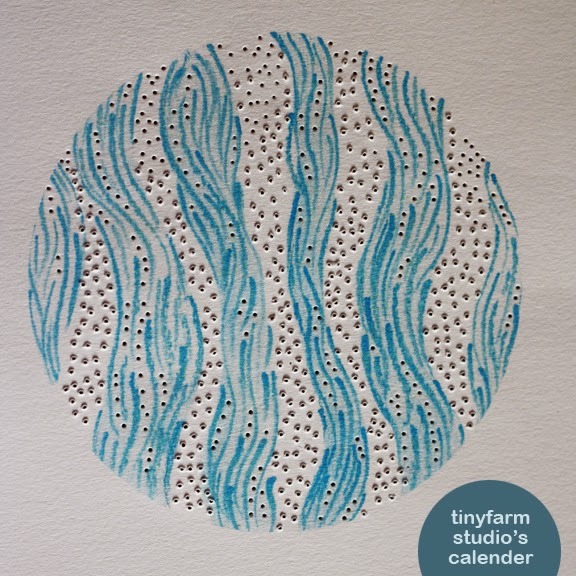 All you need to do is go to the Tinyfarm page on FB, like it and post a comment on the Tinyfarm Page saying what you love about the calender. The good news doesn't end there. 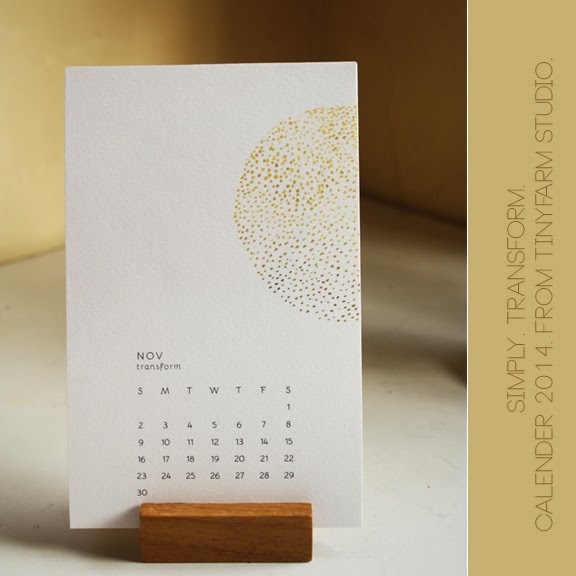 5 special comments will be eligible for a 25% discount on the calender. The last date for this Give-away is the 16th of April. 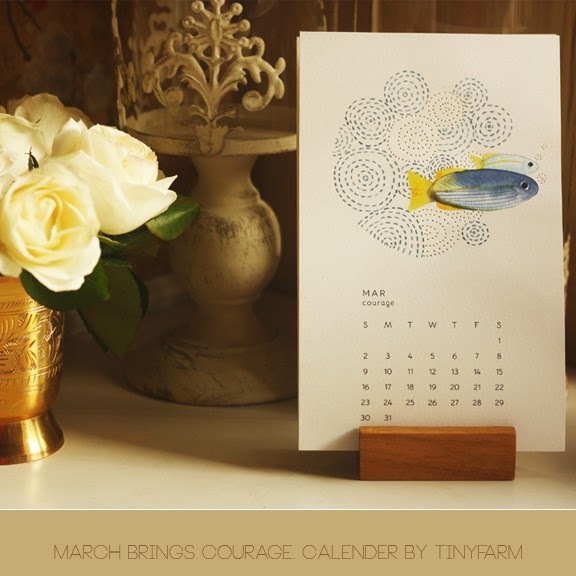 and on TadpoleStore.com and shop away.